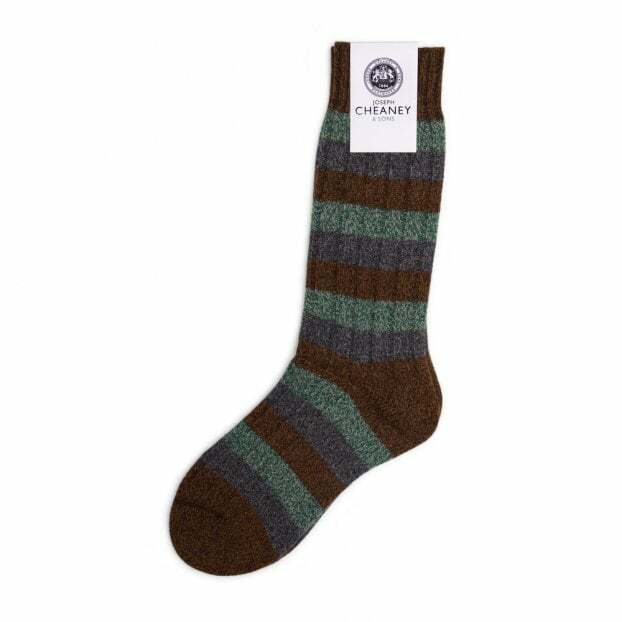 The Riddlesden is a wool sock with a 3 Colour Stripe pattern by Pantherella. A classic design in a natural colour palette. Created using warm wool and a chunky knit, the Riddlesden is a stylish weekend sock.